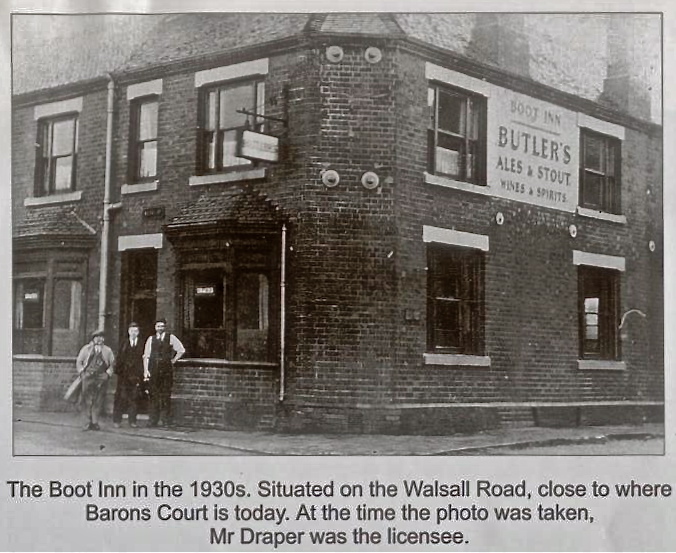 David Evans, reader, writer and commentaire extraordinary, recently sent me this rather excellent musing on the long lost beer houses of Walsall Wood. It shows how studying census records, and analysing not just what they say, but how they were written, can give huge clues to local history. Cheers to David for all his hard work. Always, always appreciated. Fellow blog contributor par excellence, Peter ‘Pedro’ Cutler, kindly give details of these Beer Houses in Walsall Wood, in the White’s 1834 directory… Board Beer House, Black Lion Beer House, King William Beer House. But where exactly were they? They have all been demolished and lost in the mists of time, but they played an important part in the history of the pre-Coppice Pit era. Time to trawl through the census of 1841, which, in itself is quite a challenge. This was the first national census of modern times and was hand written in ledgers from notes taken by the enumerator as he walked along the roads. So we have details of the residents and their homes, and the occupation ‘Publicn’ is shown… but not on which side of the road they lived! Fortunately for this part of Walsall Wood we have some reference points. 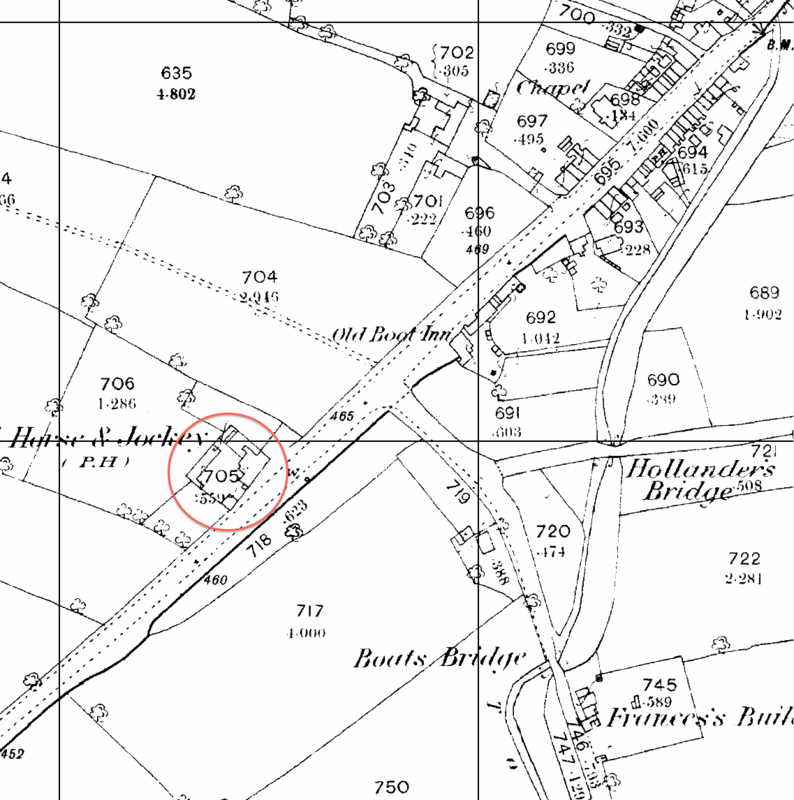 1884 1:2.500 scale Ordnance Survey map fragment showing the Horse and Jockey, before Highfield Farm was built. It seems to have doubled as a farm, as many local public houses did. Click for a larger version. Starting from the Shelfield part of the Main Road A461 and heading in the direction of Lichfield… This was the Turnpike Road. In Walsall Wood the first listed house is that of John Cooper, a farmer with his family and workers (was this the Horse and Jockey pub?). The next listed house is that of John Rock, publican. This, from the White directory, was the Boot Inn, which stood on the corner with Boatman’s Lane , opposite Baron’s Court Hotel. Unlike the White’s directory which names the Horse and Jockey Inn, there is no mention of that building at all. Yet in 1851 the census shows a farm whose owner is a farmer and publican. 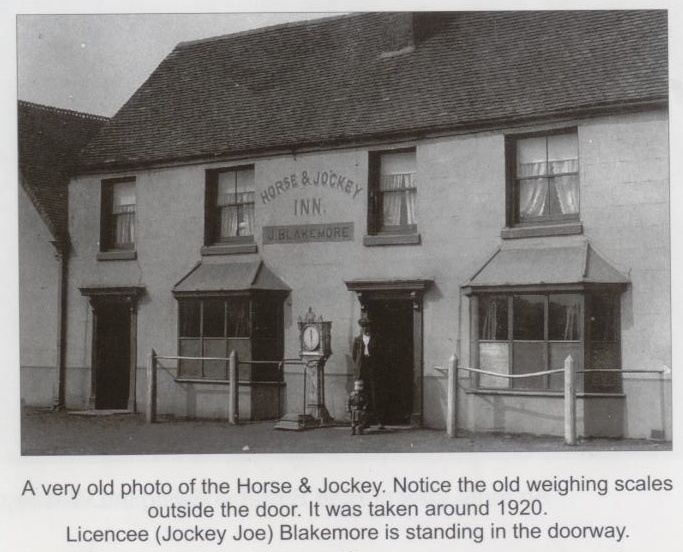 Perhaps the first casualty of the 1830 Beer Act which enabled homes to brew and sell their own beer, was the loss of the Horse and Jockey as an inn, at least for a while. The Boot Inn, from ‘Memories of Old Walsall Wood’ by Bill Mayo and John Sale. The census lists the Yew Tree Cottage in Walsall Wood High Street, by the former Why Not fishbar, near the Wesley Chapel. In today’s terms, more or less half way along the High Street and opposite the Medical Centre. The 23rd building listed is the parsonage, (so we have crossed the road) and the 24th building has a Thomas Stokes, publican and 13 other people there (the Red Lion, mentioned in White’s directory). The 29th building has a John Wigley, bricklayer living there. This is the only John Wigley in Walsall Wood at that time and was the Black Lion Beer House mentioned in White’s directory. The 32nd dwelling, where a Richard Jackson, marketer, lived was the King William Beer House (same side of the road as the church. There were a few Jackson families in the High Street then). However, the Board Beer House, run by John Latham, has gone out of business. Well, at least there is no John Latham anywhere in the village in 1841. I believe Yew Tree Cottage is just on the right – the dark house, just past the first shop. Image from ‘Around Brownhills and Walsall Wood in Old Picture Postcards’ by Jan Farrow. The Turnpike Road, from the Shelfield end of the village, up to Streets Corner, had 44 dwellings, and near to Streets Corner there was a James (illegible), publican, too. I think this was the Royal Exchange pub, which in later years also had a large workers’ hostel. The Horse and Jockey pub is somewhat of a mystery. It was out of business as an inn in 1841, and the publican, a Sarah Stokes, is shown in the census as living with her husband Benjamin, a victualler and plater, in Walsall. On the other hand, she might be the Sarah Stokes shown as living with her farmer husband John, in Rushall. The Horse & Jockey around 1920, what I believe to be the second of three iterations of this pub. 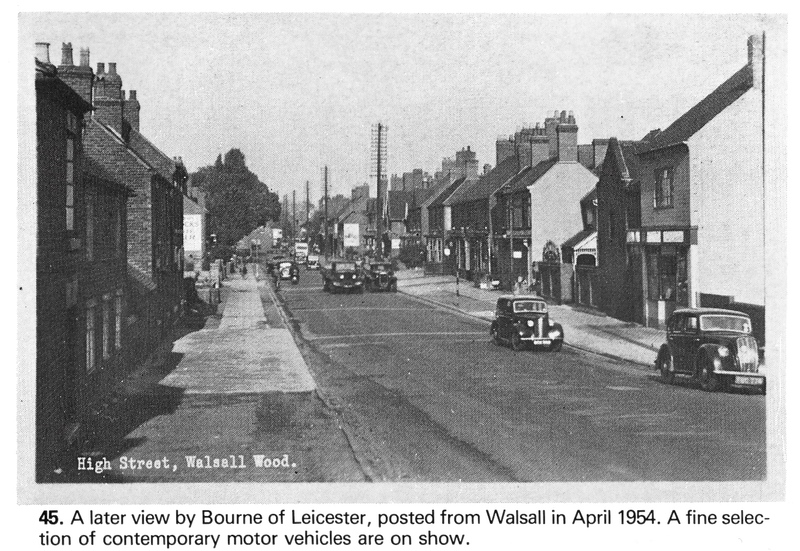 Picture from ‘Memories of Old Walsall Wood’ by Bill Mayo and John Sale. This raises the possibility that the Horse and Jockey Inn, listed in White’s directory in 1834, was also a farm. Certainly the Highfields farmhouse of a few years ago looked to be much more modern than the 1834. The Horse and Jockey Pub original building is shown in Oakparkrunners blog article, ‘Walsall Wood Past and Present’. There is no mention, in the 1841 census, of any other publican in Walsall Wood. The Traveller’s Rest, Coach and Horses, Beehive, Wheel and the Hawthorn Tree pubs were not yet built, and the Royal Oak Beer House in Bullings Heath had yet to come into existence. I would like to thank Pedro for his investigations in this topic, without which this article would not have been possible, and this part of local history may not have been revealed and explored. many thanks for publishing this article..Pedros’ wonderful list is in Local Quiz 1 comments, June 30th this year.. But for the record there is a John Cooper at the Wheat Sheaf in with a bowling green, but as it mentions B’ham St and a view of Barr Beacon it is probably in Walsall. John Cooper may have had a chain of pubs! On Wednesday last at Aldridge, Mr John Cooper, Malster, to Ann the youngest daughter of the late John Stokes of the Horse and Jockey Inn, Walsall Wood. many thanks. Mystery solved ! Colonel Bagnal (Chair), Major Webb, WF Gordon and Captain Harrison. Superintendent Hackney of Brownhills Said that there were in the division 15 fully-licenced houses, 9 beer houses with indoor licences, 3 beer houses with off-licences, and one wine and spirit licence. The number of inhabited houses was 732, so there was a licence for every 26 houses, one for every 124 persons, calculating 4 persons to a house. The renewal of Hannah Brown, Woodman, Ogley Hay and Edward Carvell, Watling Street, Hammerwich, were objected to on the grounds of convictions and adjourned. The licences of John Berrisford, Fox and Hounds, Shenstone, and Robert Lazenby, Leopard, Sandhills, were objected to on the grounds of dancing being carried out on the premises, and certificates were withheld for a month. John Mallard of the Queen’s Head, Watling Street, was reported for frequent assaults on his wife, and he was cautioned that he would not be able to hold the licence if such conduct continued. Should have gone to…..the Boat Inn,sorry, “Hotel”,in Walsall Wood. The 1901 census shows one of the 8 adjoining ” Boat buildings” had a Mr Bateman, inn worker and Misses Marie Doris aged 21, and Latty Doris, aged 20, a Music Hall Act from Cheshire visiting the good gentleman whilst another Mr Bateman was busy being the licensed victualler in the Boat Hotel next door, and sharing the premises with another 7 people. Any last orders? It is good to see how history can be pieced together, and blogs like this can act as a springboard for others to add to. There certainly seems to be an growing interest in Local History. I think I know more about Walsall Wood than I do of Aston! many, many thanks for your kind notes ! There is much, much more to come on Pepper Alley in due course…. Many thanks for “placing” Yew Tree cottage..Do you have a photo that shows it, at all…please! Hi David Nice to hear from you.Sorry I don’t have a photo of Yew Tree Cottage, unfortunately people did’nt take many photos in the 40’s and early 50’s ,now more than ever we all wish we had for references. conversation with a local who lived in Walsall Wood HIgh Street 1940s and 1950..remembers this about the Yew Tree Cottage; double fronted blue brick building, square bay windows downstairs, had big trees down the side of the cottage, Mr Knowles lived there. was often to be seen leaning on the front wall which had sloped coping bricks. Is this the same cottage that you have described? The cottage was by the Red Lionpub and , a few doors from Mr Oslands cottage..
Thats the one ,very dark looking house gothic as the kids would say today 2 bay windows to front and 2 steep gable roofs, I remember as a small child with Dad ,visiting the Knowels quite regular cake in hand that mum had made walking down the side of the house to a side door that led into a small cosy kitchen. I remember Dad talking about Mr Onslow and the Jacksons who were all friends. Dad always wanted to return back to the High St so in the 50’s we moved back and lived about 6 doors from Ivy Cottage.Mum and Dad left when the houses where bought by the council for road widening??? many thanks.You’re a star! Do you remember Faircliffs builders yard? I am most interested in your piece on Walsall Wood’s lost beer houses, I lived at the Royal Exchange until 1963 and did not know about a “large workers hostel” after 1841 sometime. Can you tell me where the info came from? I would love to find out more. I have traced a family connection back to 1845 so far! shows,” Royal Exchange, licensee Mr Welsh, having three two-roomed dwellings, “back of”, each with four people per home…..
From this key (i.e. name and place)you can work backwards in time. Walsall Wood census has shown in different ledgers and districts over the years. Have plenty of strong coffee to hand! Barring further controversy (you know how these things run…) aiming for midweek on the first of those. Brownhills Bob kindly put some old maps of Walsall Wood…in the article “Wood Work”, September 16th of this year. If you scroll down until you come to it..please look at the 1884 map. I think it shows some details of the Royal Exchange pub and other buildings on that site. The 1919 map of the same immediate area is also “illuminating”.. as you see in 1901 census ! kind regards..and a very big thanks to Bob.I don’t know how does so much, really don’t. Many thanks, I have been looking at the maps, the buildings are very clear on the 1919 map as you said! On the 1938 map they are gone, all that is left is the stable block and at the rear the pigsty. The stable building remains to this day although I have no idea as to its use now. James Welsh was the second husband of my great grandmother, and he remained the licensee until my grandfather took over in 1900 at the age of 23. In 1893 James Welsh was fined £5 for permitting riotous behaviour and 2/- in 1894 for permitting drunkeness – a bit of a lad I think! Thanks again, and thanks to Bob, I look forward to further stuff. I would love to know a bit more about the Christmas of 1892 – intriguing! A history of the Royal Exchange would be great, I can give you lots of info, dates etc, and I also have a photo from 1900 and the 1950s. If I don’t do it now it may never get done and that would be a great shame. How do we go about it. If you’d like to mail me at BrownhillsBob at googlemail dot com, send me anything you feel you’d like to share. If you’d like to detail it in your own words, I’d be happy to run anything you write. You don’t have to, it’s just an idea. No hurry, please, take your time. I’m very very interested in your story, and you write well, so I think you’d do a grand job of telling us about it if you fancied. Without the generous donations of pictures, articles, ephemera and community memorabilia, this blog would be a much poorer affair. I speak for both myself and the readers when I say a big thanks for anything you offer. I must apologise for my typing in the above reply (now corrected) I was on a phone keyboard without my glasses. Thanks to [Howmuch?] for mailing me to point that out. many thanks for your super offer. standby!